For baseball card collectors who are looking for an intrigue filled chase have to go no farther than 2018 Topps Inception. 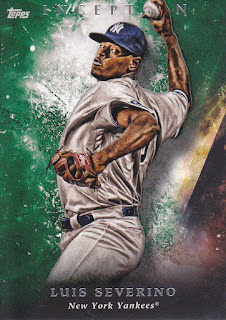 The single-pack boxes serve collectors with a dynamite design and impressive looking autographed cards that are far distinguished from many of Topps’ previous releases. Opening the dark colored boxes, one immediately gets the vibe of the charcoal marbled motif of the base set, which creates a mysterious, yet attractive backdrop for each card. The 100-card base set features a mix that tilts towards the top rookies in Major League Baseball. Each base card is thicker than your typical Topps release, further signaling the enhanced quality of this product. The box provided for this review also yielded two parallels, which range in typical Topps fashion in both color and quantity. The varying colors in the backgrounds of both parallel cards in this pack enhanced the eye appeal of the cards in this series. While the base cards and their parallels make up the majority of the seven-card pack in each box, the true champion of each box was the autographed card. The autographed relic card that came in this box just popped in a variety of exciting ways. The red (/25) parallel of this card made the sticker autograph on the card stand out due to the stark contrast from the background. While I am normally not a fan of sticker autographs, in this case, the combination worked to perfection. When you add in the multi-colored relic, and the throwback uniform in the photo, the signed card in this box was truly a gem. 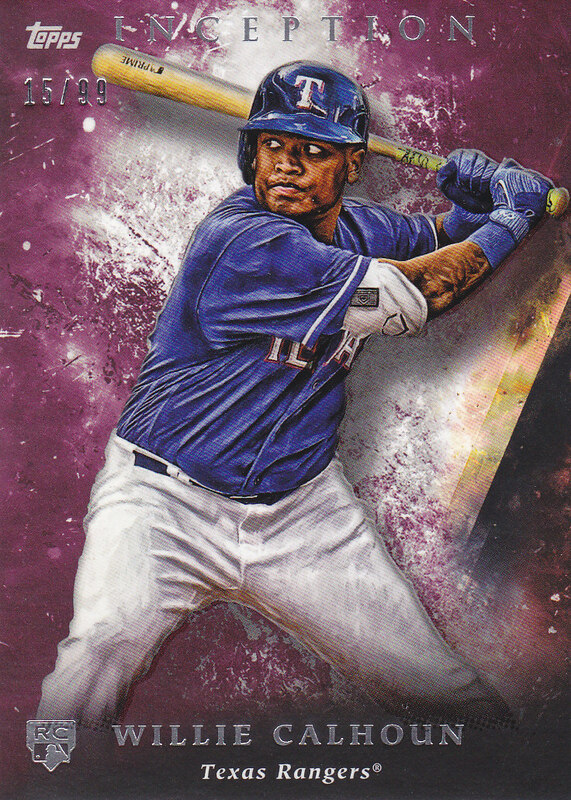 With 2018 Topps Inception, the storied baseball card manufacturer attempts to present collectors with an option that goes beyond your typical single hit product. The combined attention to detail on the base cards with the striking autographed insert cards pushes Inception to the forefront of this segment of the baseball card market.